What will the Deluxe cover look like? The Deluxe version of the cover will have the look and feel of the Cover shown in our intro Video. We will be using the delectable art from our Cover art shown in update #3. We will be using the first cover shown with the red colored title. Previews will be shown before the end of the campaign. Can I buy multiple Copies of the Book? 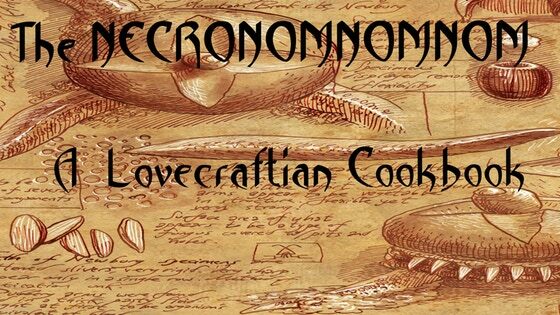 If you'd like to add additional copies of The Necronomnomnom to your pledge you may. Just add the additional amount of $30, per additional book, to your base pledge (whichever one it may be). You can confirm the number of books you order within the Pledge Manager that you will get at the end of the campaign. How are the recipes being created/where are they coming from? Do you have a chef? What will the Deluxe cover look like? Can I buy multiple Copies of the Book? How are the recipes being created/where are they coming from? Do you have a chef? I want to know when my reward is shipping. I am having trouble filling out my survey. I would like to make a change to my pledge. I would like help with preorders. I have a issue with my pledge finances. I have a question for the project creator. I have a question not listed here. I want a refund for my initial campaign pledge. I have a question about BackerKit.